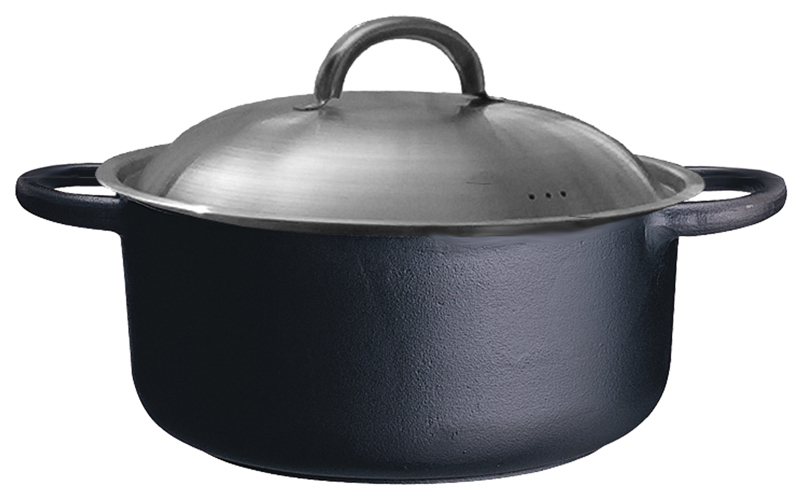 Description: Round casserole/Dutch oven 4 liters with stailess steel lid. Diameter 25 cm. Preseasoned with Swedish KRAV certified rapeseed oil.